Well, it looks like no one wants to build some Japanese armor. That blows because there are some really interesting kits out there ready to jump into. Unless a few of you guys that ARE up for it we could go ahead and band together to build some kits right here? It would be just a non-sanctioned Campaign and no ribbons would be awarded, kinda like us stickin' it to those that showed no interest. What ya say? Let's pick a start and finish date. Simple rules... new kits and ANY Japanese armor? Any scale and any manufacturer? Of course, start and finish pics with some progress pictures along the way? Gee... I feel like a rebel already! alright boys, I'm not giving in, and I won't let this one die!!!!! Lets get this into a campaign, any piece of military equipment that is of Japanese origin. Any era, any style, plane, jet, prop, armor! I know the last time I brought this dead thread back, there was more interest, so what do you guys say, should we get a start date finalized? I'm still game for some Japanese stuff... And I finally scored that Type 2 Ka-Mi kit with the floats included, so... And now my eyes are getting set on a Ha-Go Type 95 "Hokuman" kit... Stuff is out there and I need an excuse to put a Japanese kit on the bench! Definitely have a couple JGSDF kits that would fit. Depends on the ruling on what is included as to what I would submit. I have to confess that I have a Tamiya Type 97 'late turret' and Modelkasten tracks that I promised myself I would build this year so why not count me in? Originally I was going to combine it with the Airfix 'multipose' Japanese Infantry until I decided to avoid the whole 1/35 - 1/32 mess and build the figures alone (as part of the Improve your Figures campaign). I have a couple of Dragon's Type 95, Finemolds Type 95 and Tamiya's Type 97. Count me in for the campaign. I'm still interested. Couple of kits in the stash that could use some building. Personally, I'd limit this to ground vehicles only but am fine with whatever this ends up being. Going to put out a vote for expanding the campaign beyond Armor or MBTs. There are so many other vehicles.... jeeps, dozers, trucks, and even dump trucks that are out there to be built. 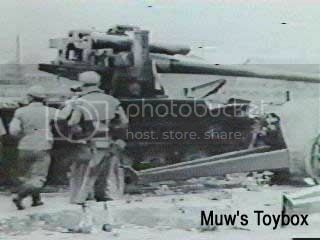 It would be the American capture of the Japanese 120mm navel gun mounted on a Type 97 chassis, on the Miura Peninsula, at the end of the war. I have this 1/35 conversion kit (kinda wondered when I could be teased into building this one)! We'll see if I can get the time! I agree with you, I like seeing campaigns that have not only a variety of vehicles, but even planes, and tanks, recon, supply, special forces, whatever, lets get this done and get it going! Does anyone have a proposed time frame? and or what are you guy's thoughts? How about starting on July 1 and run it to the end of the year? I personally don't see much sense in spanning a campaign over a longer period of time. I'm on board with that date range, is that ok with everyone else? and or are there any other date ranges that would work? so are we a go then for this campaign? and we are going to go with anything Japanese and any era or genre, correct? I'm a go..... do we have enough people to submit it? July its right to me. Count with me. So... is anybody willing to take the lead of this campaign?